A few days ago I was asked a number of questions from a reporter at CoinDesk regarding on-chain trade volume; this was a follow-up from some questions back in early May. Q: How have the recent posts from Coinbase and BitPay impacted the diagram you outlined in that previous post? Has it had any impact at all? A: The most striking data point from the Coinbase and BitPay posts was what was missing: actual real user numbers. Neither one of them is willing to publicly say how many monthly active users (MAU) they have which stands in contrast to other fintech companies, financial institutions and “social media” startups they like to compare themselves to. For instance, even though Coinbase claims to have 2.4 million users/3.1 million wallets, what does that mean? Are these all fully KYC’ed accounts? What percent have logged on in the past month? What percent have actually used Coinbase’s services? How many simply create an account, deposit $10 and never log on again? Similarly, BitPay numbers are actually pretty sobering. We know demographically from both the CoinDesk report and the leaked Coinbase pitch deck that the over 80% of all bitcoin holders/owners are males between the ages of 18-45. And that the majority of the overall users reside in North America. Yet according to the BitPay charts, North American volume has been relatively flat the last 6 quarters. So if the largest group of bitcoin owners are not using their holdings despite a marked increase in available merchants, that is probably not an indication that they are interested in spending their funds and probably see bitcoins as an investable asset than actual money. BitPay also does not disclose aggregate USD or euro volume. Startups like to make noise when they are doing good or can show growth; if the value of their volume was actually growing, they probably would say. And while transaction count in Europe and Latin America appear to be growing, perhaps the collective value has stayed the same (the Latin America numbers are also a bit misleading; it’s easy to show large growth percentages when you start from 0). Another point about BitPay’s post is that they don’t really say what “IT services” is. Notably absent from this post, compared with their post in April, is what “mining” related activity is. Recall that some miners, such as KnC and now defunct BFL were (are) using BitPay as their payment processor. In fact, in BitPay’s post earlier this year, “Bitcoin Mining” — by volume — represented the largest share of volume processed. Does “IT services” now include this previously large segment? Lastly, one number they do not include is the total aggregate transactions by each quarter. Eye-balling it, it appears for Q2 2015 they processed about 180,000 transactions. 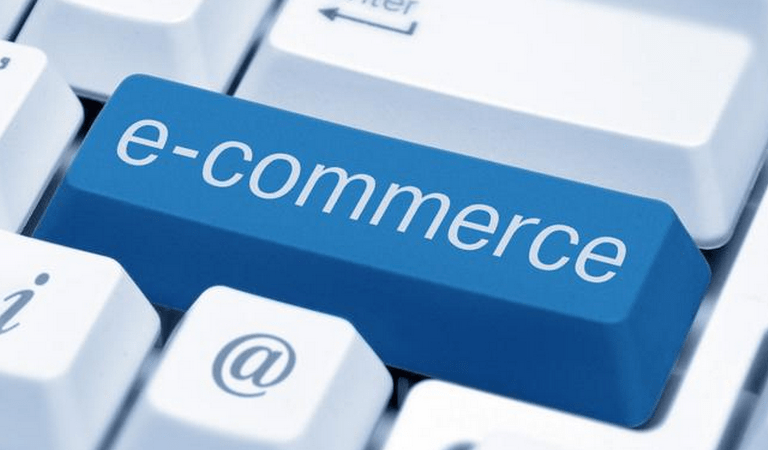 Divided by 60,000 merchants comes to around 3 transactions per quarter or 1 transaction per month per merchant. In all likelihood usage follows a power law or a 80-20 rule, that 20% of the merchants account for the majority of transaction volume. My understanding is that Gyft uses (or used BitPay) as their payment processor and since 9% of all bitcoin-related transactions last quarter were related to gift cards, it is likely that the lionshare of this “gift card” activity in the power law distribution is represented by just one or two companies (e.g., FoldApp and Purse.io are a couple potential ones to look at as well). Q: Also, are clearnet tx outweighed by darknet tx with bitcoin? Silk Road and other marketplaces were the first use case for bitcoin, but are they still the biggest? A: According to a new paper (Soska and Christin 2015), if you look at Figure 5 and the discussion involved, prior to Operation Olympus, six large dark net marketplaces collectively accounted for more than $600,000 in sales per day. It is unclear how much of that activity was expressly illegal, although the paper does attempt to break down the amount of illicit drugs being sold on the same sites. As of today it is unclear what activity is the “biggest” — we would need to aggregate all of the dark net marketplaces and compare that with the reused addresses BitPay uses plus the self-disclosed numbers from Coinbase. 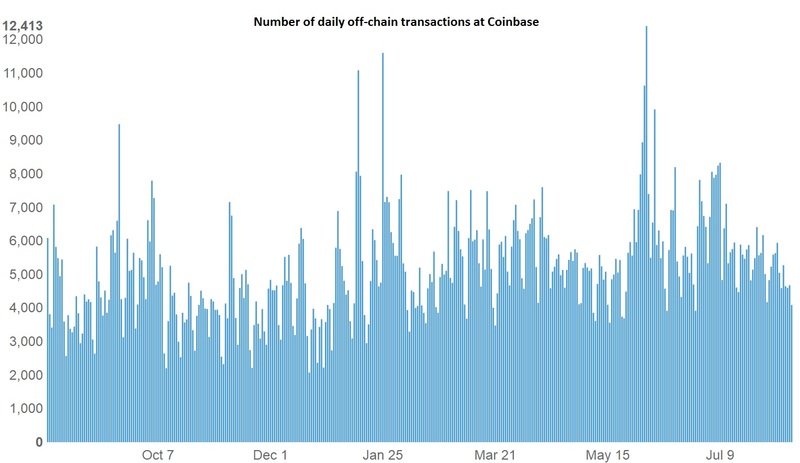 In the chart above, illustrating off-chain activity between August 14, 2014 – August 13, 2015, it is also unclear from Coinbase’s number what a “off-chain” transaction is. Is it only related to merchant activity? Does it also include movement between users or with cold storage as well? Therefore based on past historical trends (above) I do not think that “clearnet” or on-chain “licit” activity outweighs illicit transactions. One darknet market alone — Evolution — processed roughly the same amount of bitcoins last year as BitPay did. Q: Do you think consumer volumes will change significantly in the next year – what would it take for this to happen? A: It depends on what we mean by “consumer volume.” If this includes both illicit and licit activity, sure, maybe. If it also includes “off-chain” transactions, then yes, probably as well. But it is important to note you are not using Bitcoin (or bitcoin) when you go off-chain. The transparency and auditability trail disappears and a user is now reliant on a trusted third party — many of whom in the “Bitcoin space” have a checkered past on financial controls — to protect and secure your privkeys. I think we have already largely witnessed what the “killer apps” that incentivize increased usage of on-chain bitcoin activity are: censorship-resistant activities. So Buzzfeed, but with bitcoins. Does it have legs? Porter Bibb would probably say no.